[T]he second session of the Plenary of the Intergovernmental Science-Policy Platform on Biodiversity and Ecosystem Services (IPBES-2) met from 9-14 December 2013 in Antalya, Turkey. Over 400 participants attended the meeting, representing IPBES member and non-member governments, UN agencies and convention secretariats, intergovernmental organizations, nongovernmental organizations, and various stakeholder groups. Delegates adopted a set of decisions, known as “the Antalya Consensus,” which include: the work programme for 2014- 2018, including fast track, thematic, regional and subregional assessments and activities for building capacities; a conceptual framework that considers different knowledge systems; and rules and procedures for the Platform on, inter alia, the nomination of future Multidisciplinary Expert Panel (MEP) members and procedures for the preparation of the Platform’s deliverables. In addition, delegates agreed to a decision on a collaborative partnership arrangement with four UN agencies. Although some issues remain unresolved, including some of the rules and procedures and issues on communications and stakeholder engagement, many praised the Antalya Consensus as a major step towards operationalizing the Platform. 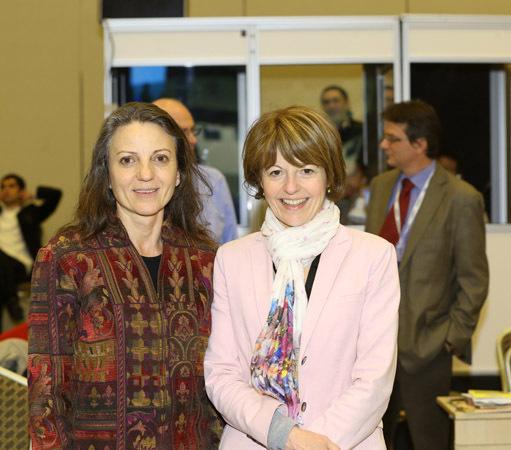 Along these lines, during Friday’s plenary session, it was announced that Anne Larigauderie has been appointed as the first IPBES Executive Secretary. To find a full list of working documents and information documents of IPBES-2, please click here.